Why her citizenship and her residency issues matter more than we think they do. 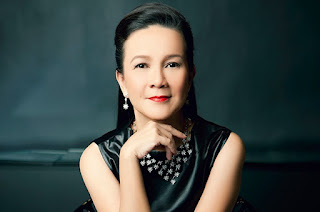 When news of presidential candidate Senator Grace Poe’s disqualification cases came out, the first thing that came to my mind was, “She’s on top of electoral surveys, so this is expected.” After all, if her opponents can’t win in 2016, they might as well kick her out of the race before 2015 ends. However, after what I’ve learned from the Senate Electoral Tribal (SET) hearings, I realized something far more important. But before we go to that, let me give you a brief summary of her life. Senator Poe is a foundling: found somewhere in Iloilo in 1968 and later adopted by showbiz power couple Fernando Poe and Susan Roces. Through her own admission, no one knows who her biological parents are. And that remains true even to this day. Grace spent her elementary school days in Saint Paul College (Pasig and Makati), high school in Assumption College in San Lorenzo, Makati. These schools are popular enclaves for daughters of affluent families. I think it’s safe to say that Poe’s wealthy adoptive parents gave her a comfortable childhood. Upon graduating from high school, Grace chose to attend the University of the Philippines in Manila, only to migrate to the United States 2 years later in 1988, eventually graduating with a Political Science degree from Boston University in Massachusetts. She continued to reside in the United States, eventually renouncing her Filipino citizenship and becoming a US Citizen in 2001. Through RA 9225, Grace regained her Filipino citizenship in 2009, letting her gain dual citizenship status. Poe renounced her American Citizenship in 2010, so that she can be appointed MTRCB chair. She eventually ran for and won a seat in Senate a few years later, a term she’s serving up to now. In 2015, Poe filed a certificate of candicacy for president, and then legal hell broke loose. The 1987 Philippine Constitution requires that every presidential candidate should be a (1) natural-born citizen, and (2) a Philippine resident for 10 years immediately preceding election. As to her citizenship, the 1935 Philippine Constitution, which was in effect on the day Poe was born, does not say anything about the citizenship of foundlings. International conventions, on the other hand, suggest that states should extend citizenship to foundlings, without stating the particular nature of citizenship that shall be extended. So basically, her citizenship falls into a legal void. As to her residency, some argue that she has been a resident of the Philippines for less than 10 years. One of the complainants pointed out that she regained her PH citizenship on July 2006, so that she can be, at best, a Philippine resident for just 9 years and 10 months immediately preceding the May 2016 elections. Now, as a Filipino, I find these issues disturbing, but for different reasons. 1: I want a Filipino President who makes me proud to be a Filipino. Can someone tell the Supreme Court to just give her a natural-born citizenship status? Honestly, that’s the humane thing to do and personally, I don’t really care. Instead, it’s her former foreign citizenship that bugs me. Grace Poe renounced of Filipino Citizenship in 2001 to become an American citizen. Of course, many overseas Filipino workers (OFW) aim to gain foreign citizenship to make things easier for them. Being a former OFW myself, I feel that that’s perfectly understandable. I can't vote for someone who pledged her loyalty another country. However, what I cannot accept is the idea that someone who renounced her being Filipino will be the face of Filipino Pride. I want a president that inspires regular Filipinos like to me love being a Filipino. How can someone who ditched her nationality inspire me to do that? I want someone who choose to stay Filipino through thick and thin. That someone isn't her. 2: I want someone who understands the Filipino Condition. Even if her residency is 10 years, it isn’t enough. Grace Poe spent much of her adult life in the United States. She lived in the United States longer than she lived in the Philippines. The US is where she learned life. She got her college degree in the US. She formed her family in the US. She experienced the challenges of adulthood in the US. Add the fact that she spent her childhool in an extremely sheltered environment, an experience far removed from the slums of Payatas or the Baseco Compound. With that said, I can’t understand how she can fully understand the pain and suffering of someone who grew up in, say, the streets of Tondo, the killing fields of Maguindanao, or the typhoon-stricken Tacloban. There are a lot of things that we can learn through reading books, but to have genuine insight on the Filipino condition requires real life experiences that she unfortunately lacks. It could have been remedied by her recent experiences, but after having taken a look at her track record, I found it evident that she hasn’t accomplished much since her reign as MTRCB Chief and as a senator. For one, she spent three years in the senate without being able to pass a single bill into law. Yes, there’s not a single Republic Act under her name. Of course, we can argue that there are too many political variables that’s out of her control, but that’s exactly why she can’t be my president: she still doesn’t know how to control people. A president should know that. I heard from the news that Grace Poe’s lawyers suggested that we just let her run while they are still settling the eligibility issues. According to them, it’s inhumane to deprive a person of her dream just because of a technicality. However, I beg to disagree on this. If the issue were that easy to solve, it would’ve already been solved by now. However, the fact that SET rule is clearly an almost-split decision, and that all three SET members who are supreme court justices voted NO, says a lot about what’s going to happen. Let’s assume that she wins in 2016 but SC decides to disqualify her in 2017. We will surely face a major leadership crisis as various political blocs joust for power. We may even risk the reoccurrence of coups d’état like those led by Gringo Honasan during the Cory Aquino years, or like the one that recently happened in Thailand. I don’t want that. Regardless, I think Grace Poe is sincere with her intentions behind running for president. I think Grace Poe is a good person. But I love my country too much. Because for the presidency, a good person is not enough: we need someone great. Did you like this post? Help ThinkingPinoy.com stay up! Lately, TP has been experiencing severe downtimes because of massive user traffic. Unfortunately, webhosting is really expensive and I can't afford a better webhost anymore.